The air is crisp, the pigskin is getting tossed around, and the grill’s getting fired up! For me, there’s no better feeling than grilling tender, juicy steaks for my buds during a football game. The succulent smell’s got my belly grumbling and my pooch’s tail wagging! Seeing as how he’s one of my best buds, I wanted to find a way to celebrate the deliciousness of meaty grilled filet mignon and bacon with my favorite four-legged friend. 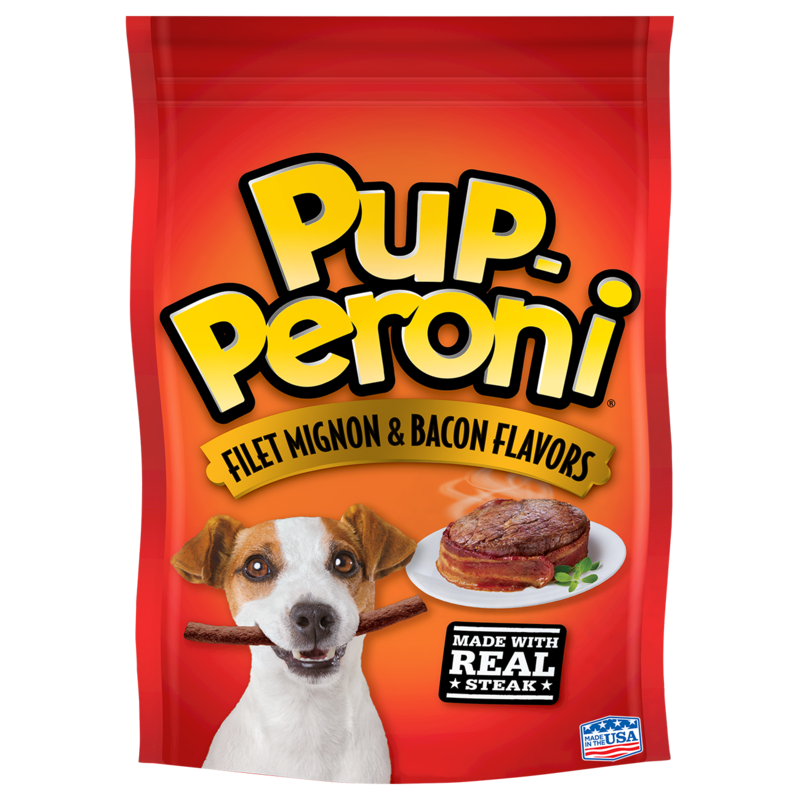 So we picked up Pup-Peroni's new Filet Mignon & Bacon Flavors treats and brought them to the tailgate party for our pooch. And I’m glad we did – you should have seen their reaction. They could barely contain themselves as they wagged, jumped and yelped all at the same time. These treats had us high-fiving in no time! 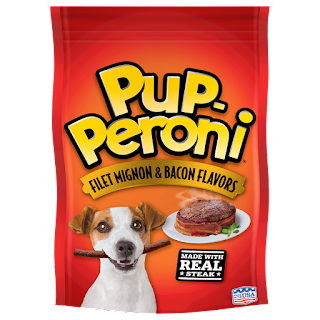 Pup-Peroni treats are no joke - they're made with delicious real angus steak and bacon flavors that our dog absolutely loves. Plus the soft, chewy texture gets their tail wagging! I think I enjoy giving my girls these Filet Mignon & Bacon Flavors treats as much as they loves eating them! There’s nothing like sharing my favorite part of football season with my best friend. Woof Yeah! No matter how you celebrate your "tail"-gate this season, you and your pooch will be saying ‘woof yeah’ to the tasty flavor of Pup-Peroni Filet Mignon & Bacon treats! Check out this fun ‘Woof Yeah’ video to see what your pup is really craving. Have you had the chance to share the satisfying moment of undeniable deliciousness with your pooch? Has it resulted in a high five like it has between my pooch and me? I hope so! If so leave it in the comments! I love to hear about pooches!! !